Terms and Conditions (last update March 2007/ August 2015) By using and visiting this site you agree to abide by the following site usage policy. All trademarks, registered trademarks and service marks on this site are the property of their respective owners. No information on visitors is collected, but simple page view statistics. By no means whatsoever am I a spokesperson in any way shape or form for the cold fusion field or the DoE. I'm just a blogger with an opinion to share. All opinions expressed are those of the blog author, who has never worked for the DoE, but would like to (Hint: see past Annual Reviews of Energy and the Environment). This site is purely in support of bringing visibility to a historically down trodden field, and supports charities with free banner ads. Note: This site doesn't control the Ad Sense display advertisings, nor the content of such display ads. The responsibility for use and misuse of the information contained within this site (as with other sites on the internet) is the responsibility of 'you' the reader. If you take risks with investments as some have done, have fun, but bear in mind the responsibility for those risks are with 'you'. If you do become wealthy someday - great!, but please share the wealth and help the field grow. [ Note: If you already happen to be a wealthy individual, there are many fine researchers who could sure use some help to make their dreams a reality with your kind generosity]. With the above brief introduction and with some hopes and dreams, I'm glad you've stopped by to visit. I wish you success in whatever you wish to help this branch of condensed matter physics to become. From what I've witnessed first hand and read over the years: HUGE. However, this leads to Rule 1: Cold fusion related science from this blogger's perspective (after following this field since the beginning) is not for those interested in a 'get rich quick' approach, but instead appears more suited to the long term 'value based' approach. But, I hope I'm wrong, and it happens much sooner, for mankind's sake. After 1989, the genie is now "out of the bottle" as the old saying goes. Humanity may have no choice, but to manage it in my opinion. In ways it is THE paradox of our time. The realities are unmistakeable, and many who fear it and its history prefer to ignore it. However, it can not be ignored, and thus must be carefully and bravely managed by many members of our global society who witnessed its extreme media birth in 1989. As Martin Fleischmann himself once said : "it's hard to make a business case for it." Looking at our world today, I can see why that might be in some regards. I also see this field as another ticking clock of sorts and so I try to keep a close eye as a human being on developments with the time and skills that I have available, realizing that there are those who genuinely want to make a business case for it. However, I'm only one opinion - make your own judgements and weigh your own options. Because this field is unique in some ways in its beginnings, I would try and error on the side of caution, as I've always recommended for those who know me. 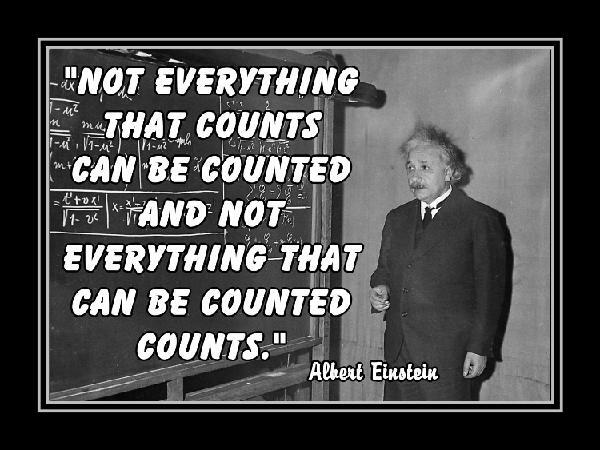 An appropriate phrase that I'll add to the above comments is the old adage: "What you measure you manage" Hopefully the wider cold fusion community of interest will keep this thought in mind. For those interested in staying current, studying the science reports and papers being published on the web is a good way to learn about all the opinions, science and history in this field. There are controversial sites, and their are credible sites just like any on the internet. There are also many brave souls world wide who publish regularly despite the rejection (or invitation to publish) of major science journals to anything on the subject (a sad state of affairs indeed, but this appears to be changing as I write this). However, for those who love extreme sports, and feel technically competent to jump all the global technical and political hurdles required, and weigh the possible risks - major conferences tend to be held twice per year and announced on the internet. In many ways, today's world of condensed matter nuclear science (CMNS) theory and low energy nuclear reactions (LENR) experimentation, is like the early years of the last century when physics saw a revolution of ideas occur that drew public interest. Ideas then developed in parallel - in key areas. As the decades progressed, the 1930's arrived and things started changing and the infant nuclear physics had grown a bit more mature and was looked upon quite differently than the lab curiosity of the early 1900s. So it's up to us all as internet enabled human beings to help carefully educate, manage and bravely apply any knowledge from this field to help society, or perhaps suffer the consequences of ignorance. Q. Why the media emphasis ? Answer: Because it is through a variety of on-line media that many in society now articulate, receive, evaluate and digest information and form their opinions on a subject matter today. Besides, show me a blog today that doesn't use media in some form or another. For millions of blogs , it's now the norm. Q. When did this site start? Answer: This site started via the blogging efforts of a lone nuclear engineer blogger "lab rat" back in the summer of 2004 as a weekend and evening project in an attempt to help raise awareness about the realities in this field via many RSS media outlets and on a number of issues he saw as being important in public education (including safety) and it continues this tradition with this incarnation of the Atomic Motor. This site has always been about possibility thinking. If this site has succeeded at all in any of its goals, it's because of the many suggestions I have received by friends, family, acquaintances, and by email suggestions by kind individuals trying to help. But it's just a simple site. Rule #2: I don't comment on any internet related materials that may have a conflict of interest with my employer. There are also ethical reasons why I don't blog on certain subjects: Life gets too complicated. Q. Are you trying to solve all the world's energy related issues (water, population, education, safety) all by yourself? Answer: No, certainly not. There is a simple answer: I have two children and many relatives and family and friends just like anyone else. If we all don't think about the future and help make small changes (even by blogging), to help navigate where we all end up on this planet earth for this generation and the next, then who will? An increasingly complex world on autopilot run by the uneducated masses with the power of the internet scares me more than anything else. It starts with each of us in small ways to help educate. Q. Why is cold fusion taking so long to commercialize? Answer: The dilemmas posed by the commercialization of cold fusion (in the opinion of this blogger). It's as much a cultural one as a technical one. Many outside the field often ask this question. There is no single "right" answer as to why in my opinion, though historical lack of funding appears to top the list. Also, as Ed Storms recently stated in a very well written new book, there were perhaps selfish motives by some to ignore the scientific evidence. An apt analogy I posted way back in August 2004 (and that others have also used) is equating it to the discovery of fire by cavemen. Man had to adapt to handling this simple technology and some would not share their tricks or some even quietly walked off into their own caves to quietly experiment. It took time to fully understand the ramifications and uses. I often wonder how long it took primitive man to co-exist with his new fire. Looked this way, one can see the challenges ahead for cold fusion related science.Q. How should one manage such "outside the box" research that struggles to be commercialized? Answer: I personally feel there is a "great awakening going on" quietly in the scientific community worldwide that started after 1989 and it does have the potential to be enabled by the internet in untold ways as it moves through development phases and as society finds the proper means to fund and deal with it all safely. Who knows?, it might even take us to the stars someday as more and more people see its potential and join the community in nurturing it along in a safe manner. We also have to deal with some harsh realities and the potential for possible misuse. This is what makes this field unique and it takes 'time and money' as the saying goes, a paradox indeed. However, science has always surprised mankind, and I think this field will do the same despite the early scepticism and even some present day sceptics who see no hope at all. Hard facts also seem to indicate to me, that we may be stuck on a planet with sustainability issues, without a power source of sufficient "energy density" for a growing population of "energy hungry" humans if we certainly don't make an effort to try and investigate the potential of new energy sources. Both atomic energy (including forms of CMNS) and solar energy ( if further developed ) appear to have the greatest potential to meet those needs. Looking back at the history of commercialization successes in science, there may be a direct linear relationship between commercial and public funds expended and the time it takes to commercialize a technology. Please send money, help change public policy and educate others if you believe in cold fusion (CMNS and LENR) science and want to speed its commercialization. Could the commercialization of the aircraft industry after the Wright brothers happened any sooner? Perhaps. Could Radio and TV electronics have happened sooner? Perhaps. Could the computer industry and internet have happened sooner? Maybe. Most of these took decades. Many of these industries relied on simple technologies, yet needed the right guiding hands to nurture them to commercialization coupled with the right public education and enabling technologies to further them along. The same may hold true for cold fusion from this blogger's perspective on the field after observing its past history. The 1989 announcement and media frenzy hasn't made it easy to live up to past public expectations in many ways, much like the frenzy the high temperature superconductor community went through in the 1980's. ..."there may be a direct linear relationship between commercial and public funds expended and the time it takes to commercialize a technology. Please send money, help change public policy and educate others if you believe in cold fusion (CMNS and LENR) and want to speed its commercialization." To me it would also be very unrealistic and unethical to say it would happen quicker without better emphasis on some education issues. Educating on this subject is one of the most difficult things that I know of, given the general lack of emphasis on the sciences in today's mass media outlets who center on feeding societies' cultural wants and needs. These are the kinds of challenges requiring generational and societal changes that evolve over spans of time. The discovery of X-rays by Röntgen and of radioactivity by Curie at the turn of the last century is perhaps as close an analogy I can think of and how it took decades to understand the breadth of the new phenomenon at hand and to find a safe means for public use and benefit from it. And by safe, I do mean "clean, but possibly easy to misuse". As one of my favorite scenes in the movie Contact states "small moves Ellie, small moves." Q. What is the acronym 'SAFETY' often used on this site? Answer: This is a tradition of this site in using the term "SAFETY First". It's a reuse of the old safety motto (saves money! ), but as an acronym in the context of this blog spells out "Sometimes A Few Experimenters Tell You" First. What is meant by this is that often times the lone experimenter or group of experimenters in this field of Low Energy Nuclear Reactions can have an insight "outside the box" of the existing status quo, not only of nuclear physics, but also potentially intersecting other fields of science & engineering when reporting a new phenomenon. This has already happened several times within the field itself over the last two decades. It is important to pay close attention to these new reports from a "risk assessment basis" as they occur. Q. What are the latest trends impacting this field ? Answer: Regarding the nuclear industry in general ( including LENR's intersection with legacy fission) - which as you have probably noticed most mainstream media outlets will still avoid as a topic - there are many changes that have occurred since 2007. Here is a long overdue update to this simple blog that intersects both LENR and fission. I. As I had predicted above (in 2004 SAFETY acronym analogy on LENR trends), a new development by an Italian experimenter Andrea Rossi splashed onto the media scene (2008 thru 2011) with new energy catalyst over unity (OU) claims from ideas germinated from the Italian research school of thought. Active demonstrations were also provided by Rossi (example: as in the following YouTube videos ) with observers & witnesses present. See the following multi-part videos, papers and articles in their entirety explaining these latest developments. Also, please continue reading onward why this blogger sees hybridization concerns(safety & environmental), new Ni-H innovations & Industry trends both in LENR and that dreaded word 'fission' which we all should eliminate from our vocabulary in contrasting with LENR to provide better transparency on this subject via the media. Will we drag fission along with clean LENR into the 21st Century? I sure hope not. That would be a ball and chain anyone would soon grow very tired of pulling along. b) NyTeknik article on former DoE's Assist Sec of Energy (R. Gentile) support for Leonardo Tech Corp.
e) Michael Nelson's NASA GRC overview paper [pdf] on Rossi & Piantelli E-Cat ideas, 2011.
f) The MFMP QuantumHeat Blog of live Ni-H based experiments, found here. b) Dr. Michael McKubre's History of ICCF ( Cold Fusion ) Conferences and Norway Presentation. d) LENR, nanotech and it's impact on Lithium Ion batteries and the battery industry by Lattice Energy, LLC (July 2015) . e) Also read this excellent book "The Powerhouse", by Steve Levine. f) See Also: Small Fusion companies like General Fusion and Helion Energy. So what are the Problems & Potential Opportunities with LENR? II. Caution: The following opinions may offend some in LENR (and fission) community as I edit this blog site. It's not my direct intention. I'm just posting updates / edits and new thoughts on how LENR is intersecting the legacy nuclear industry (touchy subject) and how we distance LENR from the last century of legacy nuclear issues. I'm also not trying to point out flaws in other people (believe me I'm not perfect either, nor am I an expert in these various matters). However, as you will see I will comment on the tribal behaviors (for lack of a better words) involved and trends in each community that I am seeing. Hopefully this will help with a broad overview of issues as seen by an outside observer. Please keep in mind that these are just thoughts from an observer of this field. I 'do' have a keen interest in LENR, but I don't regularly participate in LENR discussions nor traditional nuclear industry meetings or conferences (I used to years ago). Nor am I a futurist, though I do admire those that call that their profession. With that said, here are a few thoughts I've been pondering the last few years. Grab a cup of coffee and I hope you enjoy reading my thoughts on this industry. One interesting trend I like to watch are technology 'hype cycles', coined by research firm Gartner. When the hype cycles of technology occur (LENR & fission industries both have them along with almost all technology industries ) it's often good to let the 'news' run its course before publicly proclaiming any predictions on new emerging trends. Some technology industries are also easier to predict that others obviously, but like all technology trends LENR/cold fusion also has a hype cycle of it's own. In fact, It's also important to keep in mind that LENR and classic fission based nuclear power both have hype cycles that are 'out of phase' with each other. As one is nearing a peak, the other is rising (or falling), then the other peaks afterwards, and so on. 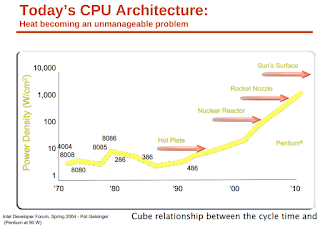 We all might imagine what the "Peak of Inflated Expectations" and the "Trough of Disillusionment" are with respect to both LENR/Cold Fusion versus classic nuclear power, which is based on nuclear fission. As far as birth dates go, Cold Fusion/LENR was born to the public at the University of Utah press conference on March 23rd, 1989 after lab experiments indicated a sustained fusion reaction was possible on a tabletop. Controlled fission was born on Dec 2, 1942 at the University of Chicago after the earlier works of Szilard in 1933 suggested a controlled nuclear reaction was possible. These branches of nuclear physics were both born differently from the start with different families of scientists, engineers and tools at hand almost fifty years apart. One was a low budget University chemistry lab. A clean environment with only Palladium and natural isotopes of water. The other was in a higher budget (of the day) metallurgical lab where environmentally 'dirty' (not known at the time) Uranium was being used and "designed in" to the world's first controlled reactor and along with its success a new Uranium fission industry with new industrial processes was being hatched. This contrast between LENR (based primarily on hydrogen + Nobel metal(s) ) and 'legacy fission' (primarily based on Uranium and other heavier metals + water for cooling) also helps to explain the origin and the basis for the early traditions established in each community of practitioners, their motives and why through the years their various camps of believers, traditional or otherwise carry on those traditions. LENR is still pursuing it's very first the 'slope' of enlightenment" to public acceptance of a new product, while there are those in the nuclear power industry that will proudly proclaim that they have already reached enlightenment ! (despite the accidents & waste & proliferation issues and adverse health effects of depleted uranium (DU). Regardless, when we turn the lights on each day gratis of a large regional nuclear power plant we tend to ignore the 'bad news' and close our eyes to any environmental & health concerns. What is 'wider public use' and what is enlightenment ? This seems like a fundamental question we all should be trying to answer. One would think that 'public use' and 'enlightenment' in the nuclear industry also includes the lessons learned along the way that one gains in acquiring knowledge and the wisdom that goes with it correcting, preventing and / or eliminating ideas that no longer serve a useful purpose (detract from the overall industry goals). Most industries that thrive learn from their mistakes and go on to exciting new concepts learn to do this well. Failure analysis (at a fundamental physical level) thus becomes a vital part of any thriving industry. 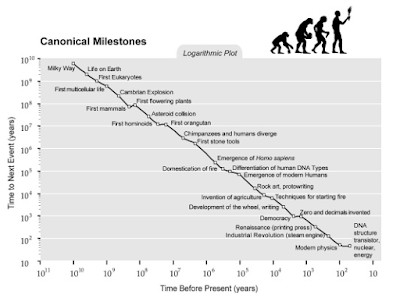 So when it comes to new ideas and learning from failures, what fundamental questions must we ask so that we can get past the "trough of disillusionment" and climb that slope to enlightenment in the LENR community ? Hold that thought for the last part of my update (see: Suggested Approaches below). Likewise, given the past history of nuclear power and fission do they have ways to become greener and cleaner? Is it even possible? As Murray Watts once said about equality and ideas "all men are equal, but it's what you're equal to that counts." In an era of tighter budgets worldwide, and a concern for our environment which ideas count more than others? Which should be given a higher priority as possible solutions to investigate ? If so, do we have the collective political will to proceed down the path chosen ? OK, so which ideas are riskier? Define what you mean by risk (health, safety, security, finance, liability, etc). In what context could those risks occur? Which are safer environmentally? Which are no longer needed or should be retired as an industry practice to better focus on areas with the highest commercialization potential ? Are there ideas that may be interesting but useless for commercialization potential or are simply stifling new investment ? How should the industry as a whole be better organized to implement better ideas from various camps emerging ? Are there healthy public discussions occurring with no hidden agendas? Why or why not? These are all fundamental questions. It would seem that simple discussions by the LENR industry on topics like the above can help provide some clarity on new developments and 'publicly released' news items (in general) as we all wait and see what ideas have the raw potential to reach the 'slope of enlightenment' towards wider commercial & public acceptance (key points) in the hype cycle of each industry and the slope of enlightenment we all want towards "safer" and "greener" public use. Any thriving LENR industry must broach all these subject areas eventually as it leaves the safety of the lab. So why do these hype cycles occur you may ask? What makes them so wild? First, let's take a look at a familiar example and then later on we'll look at various factors that may influence both LENR & traditional nuclear power's "fission technology" based hype cycles. 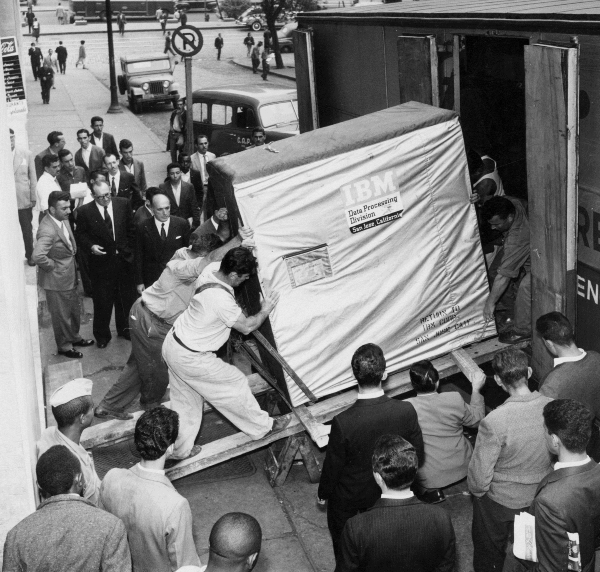 If any of you have watched the PC era develop the last three decades one can see how technology ideas of the PC era evolved from the early 1960's & 1970's mainframes to mini computers to present day PCs in incremental steps and along the way various 'convergence of ideas' occurred & matured. These ideas were often from horizontal and vertical industries that created the breakthroughs that enabled the PC innovations during that time period. For instance, without the developments in integrated circuit (IC) as Moore's Law predicted, it would be difficult to say that the PC era could have emerged as it did. The underlying tools used by the semiconductor and related electronics supplier industries had to develop a certain level of 'process maturity'. In fact, a technology roadmap was established during the past decades by the Semiconductor Industry Association (SIA) to support the further integration (key point) of those ideas into the infant PC & multi-layer circuit board electronics industries. Thus, one could say 'yes' people got excited during those years by new developments (the IC for instance) and one could argue that the PC went through it's own "hype cycles" as early expectations (i.e, the mainframe is dead!) met inflated expectations (a new PC revolution is upon us !) in the market place of ideas. Instead, as we have seen this took more than two decades or more to mature and eventually reach the "slope of enlightenment" when the public was able to buy their first IBM PC or Apple. The tools and processes that enabled the semiconductor IC industry thus enabled the PC revolution to take place. Likewise, in what we are seeing today with LENR (and more recent fusion ideas), a similar argument could be made for its industrialization and use of nanotechnology. The nanotechnology revolution we are living through is not unlike the early semiconductor era of the 1960's, 70's and 80's as new tools & techniques are being developed and discoveries announced in labs worldwide. This happens almost daily now. The nano revolution is also enabled by the 'process maturity' of the underlying manufacturing tools & industrial processes : nano-metrology (example: see nanometrics), transmission electron microscopes of many varieties, mass spectrometers, plasma furnaces, optical spectroscopy tools, etc. In fact, like the semiconductor industry, the nanotechnology industry has its own roadmap as well as partnering organizations. As the nano revolution unfolds, manufacturing trends will mature, simplify, diversify and offer cheaper solutions. Along with it the ideas that enable further (unexpected) LENR breakthroughs will also occur (hold that thought). Many other traditional industries involving chemistry, biology and physics will see similar benefits by nano / cleantech. In fact, the nanotechnology industry my also benefit by learning from nature and how it tolerates natural 'nano' in the environment. This field is called biomimetics and there are many scientists exploring this new biological nanotechnology frontier where new nanotechnology ideas can be designed to co-exist with nature by studying how nature does nano. The modern electronics & manufacturing (3D printing, microfluidics, solar & MEMs) industry ideas we see today are also examples of new trends under way that will intersect both the nanotechnology and semiconductor industries of the future. Thus, the 'inflated expectations' we often see in 'hype cycles' often come from early market expectations (excitement if you will) that don't match the underlying realities and maturity of the manufacturing & process tools needed to support the horizontal & vertical industries & markets impacted by technology and public appetites for risk. For instance, it doesn't mean that LENR as a potential industry doesn't exist (when it in fact does), rather it means a certain level of technological maturity is first needed from various labs (of all kinds) in the underlying processes involved to support the market expectations and build a solid foundation. As process & tools mature, and funding is provided to explore new ideas - as it always seems to happen in science & technology revolutions - an unexpected convergence of disparate ideas takes place that eventually supports the dependent industries as they grow. From that convergence often surprising developments emerge. For these reasons, I expect LENR to mature at a more rapid pace in the next decade, much like photo lithography (modern example: EUV), wafer fabrication, wire bonding, and mass manufacturing tools enabled the semiconductor & PC revolutions in the 60's, 70's and 80's. As we've seen throughout history again and again, when creative people start hitting on key ideas that 'work' ..huge changes start to unfold in various phases and people get excited. Back to the topic of LENR vs fission and comparing and contrasting these two domains. Whether we realize it or not, we are living through a very amazing time in science and technology history. While LENR develops we are also simultaneously witnessing an ageing fission industry struggle for viability (if you will) as it keeps the lights on. In fact, classic fission also has it's own hype cycle of sorts (realities, expectations, safety, health and security challenges). As this new century unfolds, this David versus Goliath journey (LENR vs legacy fission) is in several ways different than what we saw with PCs versus Mainframes in my earlier example. 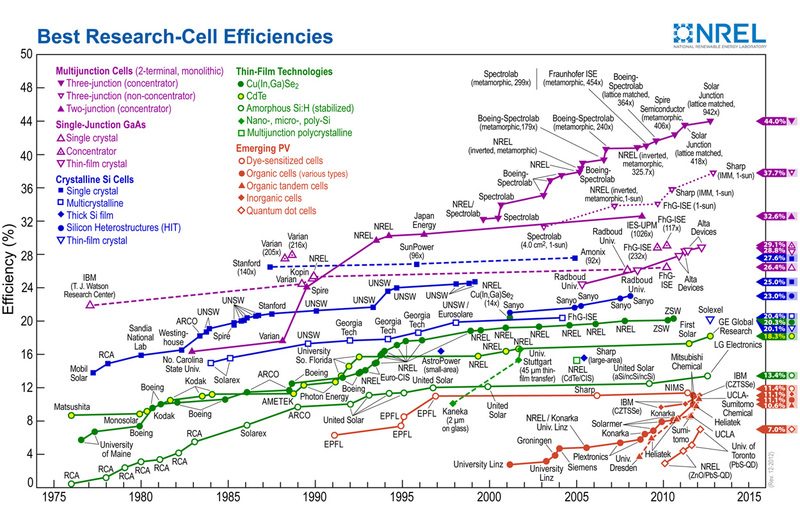 It not just size and complexity we're reducing with the LENR mindset. We are changing the nature of security & environmental concerns along with it. Yes, it will be similar to the decline of mainframe ideas as the PC became ubiquitous. However, unlike the PC era, we have environmental issues to contend with regarding 'classic' nuclear power related technology and contrasting these with LENR, some LENR technology choices will be much greener than others and will effect how fast new ideas are adopted. The greener the better. a) Are we confusing the public & policy makers & investors ? b) Are we providing 'environmentally safe" options as we all move forward (i.e, no hidden agendas) ? I think the nuclear industry and it's more technically versed followers (in general) at least owe a 'balanced perspective' to the environmental community and the next generation of young thought leaders & legislators interested in the new developments in this field by simplifying the developments we are seeing in order to assist in their career choices & decision making process. After all, there are some of us who were born into this "first generation" of a new nuclear age (LENR is now >25 years old) and we owe it to this new generation of young leaders to help navigate a complex world of choices that they make that can actually impact this industry (positive or negatively). Simplifying technical jargon and acronyms can also help decision makers in other fields (software, systems, human resources & security) grasp the immense changes we are living through in these nuclear energy realms. If we manage to do that correctly, LENR will grow very quickly in the years ahead as it gains new allies. In my opinion, if you contrast the dynamics between LENR and legacy fission - observing the issues, dreams, goals & ambitions of each technology camp, you really 'can not' have a cleaner nuclear industry without making some very tough environment & security decisions. The world obviously wants to go with a cleaner environmental future for new job growth. Even scientific papers demonstrate this trend in a balanced environmental outlook. So how can we (as engineers & scientists) accelerate this job creation process and ease that transition and help the younger generation and followers of this industry grasp the trends and to join the ranks ? The best approach I can suggest is to a) Look at various LENR camps to help the non-technical followers 'catch up' to recent changes and b) Look at recent trends going on in the legacy fission industry to contrast and compare those trends and tribal dynamics (if you will) with those of LENR. These industries are 'tribes' in a modern sense, both managing a new fire. Some still prefer to tend to the flames of older fission industry, while others want a newer, safer and cleaner approach with no radioactive waste issue to contend with as a prime concern. One tribe is smaller, more nimble and focused in several research areas with a few hundred participating engineers & scientists working with smaller and home grown budgets budgets. The other camp is a lumbering giant (Godzilla comes to mind !) with large budgets and thousands of engineers & scientists worldwide. It's been like this for years now. In essence, we get what we officially /unofficially legislate, organize and plan for. As I will comment on later, by helping to make decisions less complex, we also help people to reduce uncertainty and transition in their careers. After all, if this industry is ever to be "green" we have to talk about these concerns and opportunities now don't we? Let's be honest with ourselves, shall we? So given the choices, which "camp" would you prefer to work in longer term and how would you weigh all the various factors ? Sometimes organizational dynamics can help with a clearer picture, so lets take a look there as a starting point for further discussions. So How are these Tribes Organized and How do they seem to think ? An important analogy I'll offer in explaining the technological "rise of LENR" for the followers out there is this: LENR / Cold Fusion because of the nature of it's birth in March 1989 was naturally driven by more community involvement from day one in the media. In fact, the entire field of science nearly chimed in! Since then, the community decision makers are essentially at a round table - no one is 'appointed' as a leader of the community (in essence). This is the opposite of 'fission' with a square table organizational structure and members of a team (as in a board meeting sense) run by leaders of corporations & the government leaders involved. Fission has been doing that for five decades now. In contrast, once again decision making in LENR is more community driven, and often a lot like an "open source" energy model (much like open source software) with the CMNS and related technical societies involved in papers, web sites, awards, etc. This community dynamic may change someday, but at the present moment it appears much like that to this LENR observer. This is also explains why major magazines like Forbes, fail to see the difference between 'open source' LENR ideas versus board room driven ideas and why it refuses to die off!! It never will. There is no button to press called "stop" much like in open source software has no stop button. In contrast, a corporate environment is much different along with the legal and regulatory framework it must conform to along with corporate and shareholder risk appetites. Again, it's important to keep in mind the contrast of LENR (open community) with the legacy nuclear fission industry(closed model & tight security), which is quite the opposite ( with corporations & executives accountable to shareholders & investors). This also helps to explain how these two groups are behaving in many ways and their different appetites on risk, publicity, good news /bad news developments, funding & pace of progress, etc. I. Camp-A (Practical): The practical LENR camp of believers/followers/experimenters doesn't like the radioactive waste issue (nor waste clean-up as a goal), doesn't believe LENR is 'cold fusion' (i.e, they are also open to alternative scientific theories, even true fusion) and they like a clean & energy dense power source with little or no radioactivity while operating. Their design goals also don't generate rad waste (less design risk and liability issues) and will require far less safety/security issues than legacy fission's complexity since the E-Cat like devices are claimed to operate near background levels of radiation (much like a household smoke alarm). They may often state (in essence): "it's what the world wants!" Recent Ni-H (Nickel Hydrogen) based LENR researchers (in general) and others could be said to fall primarily into this camp for a number of reasons including recent claims to being closest to commercialization, which may be true (opinions seem to vary). The medical community of interest (COI) could also be said to fall into this camp based on what I've observed simply because of the desired ability to turn on/off some LENR characteristics (I'll leave it at that) with the flick of a switch. Included in this camp would be the amazing LENR hackers at the Martin Fleischmann Memorial Project (MFMP) and their QuantumHeat live experiments (they have also started a donation page). II. Camp-B (Clean Fission/Fusion Hybrid Dreamers) : They are LENR believers/followers/experimenters who also want to clean up legacy fission rad waste issue using LENR. But in doing so they appear to be mixing (hybridizing) LENR (or even cleaner Fusion) with fission ideas - this can confuse people!! Even investors & policy officials ! They may or may not believe in Camp-A or Camp-C goals/ideals. Some presently work in a branch of today's fission related industries (or originated careers there) and want to quietly help LENR along by also applying it to the waste clean-up issue as a possible long term industry goal (ponder this thought in the context of immediate needs going on with the Fukushima clean-up ). They see it's "potential" to help clean up the rad waste (key word : 'potential'), helping the environment and generating useful power. Included in this camp would be companies like Transatomicpower, which are still based on Uranium fission despite the PR campaign. UPDATE: (3/7/2016) Matts Lewan, who appears to be trying to help wrote an interesting overview of recent E-Cat developments, which seems to indicate an increasing preference towards hybridization of LENR with nuclear fission ideas. This would place Rossi and the Piantelli work squarely in Camp B along with the requisite security & environmental concerns that would go with this Nickel-fission hybridization, which would naturally happen by default through further experimentation with fission (i.e, a Pandoras box). Despite the pledge to cleanup fission as his article implies. Ethically, I must raise my voice and say something on this matter as an IEEE member watching from the sidelines as this new industry struggles to remain clean as their day one promises in 1989. Perhaps LENRIA will have a code of ethics soon for this industry much like the IEEE does and the SIA? This would help with future political, environmental, policy, financial & security risk mitigation for an industry trying to be greener by promulgating desired membership behavior. For instance, here's the IEEE code of ethics as a comparison that thousands of engineers in the semiconductor & electronics industries follow. As illustrated above, the Camp-B community often doesn't see the dichotomy they propose in mixing LENR (or fusion) with 'ball and chain' fission ideas, which bothers some (including this blogger who is perplexed by this thinking). Some dissenters in this camp may see LENR energy generation as somewhat impractical compared to the work they do each day with fission's bigger and bolder legacy science & traditions of doing business driven by corporations and their 'funding' dollars. Are they selling out on cleaner energy goals by doing this? Regardless, often the thinking goes that lending their support helps the LENR field (in a quiet behind the scenes sort of way), but their jobs, employers, professional societies and even pay checks still support 'fission' (to a large extent), much like the legacy mainframe industry once did when the PC came along. Some it seems wish this would change and want public policy changes to support more LENR research applied to practical waste clean-up issues, and they are often non-vocal when it comes to supporting cleaner LENR publicly, mainly because of the traditional industries they presently support. Not everyone prefers this silence I think, but it is what it is. Camp-B followers for the most part also seem to be willing to live with as they indirectly propagate (by default thinking ) the "immense" security infrastructure in place world wide levied on us all (despite the huge costs) to protect the public from their 'own' industrial fuel cycle issues (waste, safety & security & proliferation concerns) while trying to cleverly juggle the risks, workforce & political consequences in the other hand. If you doubt what I'm saying just look at the huge political battles surrounding Fukushima & the recent Iranian reactor news items typical of the security & safety concerns of the fission industry. These type of news items can also hurt investors in the LENR industry who put trust in the industry as a whole because the public to a greater extent can't see the differences with fission (a very expensive education! ), since it all tends to get lumped in as 'nuclear'. I also include in this camp those tinkering with and proposing liquid flouride thorium reactor concepts. Thorium is simpler in some respects, but it has similar issues as Uranium, which still uses fission, despite recent claims of its fuel cycle being 'clean" (it honestly isn't), and proliferation resistant ( it isn't ) as any competent nuclear scientist worth his 'salt' (pun intended) could tell you - (suggestion: Google "Thorium fission" if you have any doubts about what I'm stating and how scientists have studied Thorium for many years and it is nothing new under the sun). Again, how these projects are 'sold' in the media depends I suppose on which industry you want to support. Classic Fission or LENR? There is also a recent 2016 paper experimentally hybridizing Thorium with LENR. Again, it's becoming fairly evident to me where this LENR style of thinking is coming from, i.e, the big fission industry (on several frontlines worldwide), while cleverly dancing with LENR. Lets be honest shall we? Proceeding with caution would not be an understatement. Once again, this kind of thinking raises environmental & security concerns for an industry trying to sell itself as 'green'. From what I understand of nuclear physics & chemistry, hybridization is neither clean nor green. III. Camp-C (Purists): 'Fusion purists' are in several varieties. Some seem to think LENR is a new form low energy 'cold fusion' (or closely related) in a scientific sense since the 1989 announcement, primarily because of some early key experiments. They also prefer to avoid "anything on God's green Earth" to do with radioactive waste (in general) or the increasingly complex security & intense political issues that fission has brought to the world and prefer to avoid the complexity of issues dealing with implementing anything related to fission. They often originate from a non-fission related industries and may be future stakeholder(s) in how LENR develops commercially and even scientifically. They may often proclaim "It better be clean or I don't want it." (Note: You could humorously say I fall into this last camp, but I 'do' like the ideals of the other two camps and I see Camp A as being more near term LENR business & goal oriented than most in Camp-C. However, there are 'mid scale' pure fusion start-ups that have some very bright ideas. As I mentioned above, there are some bright new Fusion ideas (of the hotter variety) in Camp-C vying for commercial approaches using 'pure' fusion ideas with a new twist. They are based on hotter fusion ideas than near room temperature LENR approaches. Both General Fusion and Helion Energy appear to have very interesting work going on despite their smaller budgets. They also have hired veterans from other related industries helping to build teams with mixed skill sets. These programs are in the 'mid range' (mid tier) as far as system size & complexity, team size, and are planning a variety of interesting ideas and possible uses as their plans move forward in various phases. The smaller start-ups above should be contrasted to the larger and more established Fusion Mega Projects(FMP). These programs often require national & international sized budgets and public works jobs programs level of support. Large laser fusion programs have also spent billions the past forty (40) years as they move past 'Break Even' in fits and starts trying to stay 'true' to their original mission intent. They are still trying with "very good science papers" as a primary result as they continue past Over Unity(OU), but scaling that up to a power plant is perhaps many years away yet (Note: I'm certainly no expert in this matter but having seen past progress the latest claims feel similar). Contrast this with something LENR community has recently been able to brag about after more than twenty years. For instance the Rossi (Italian camp) claims (4x times) OU and greater if you read some reports and watch videos regarding the Ni-H breakthrough claims (Camp-A). This work is on a much smaller scale (and a tiny fraction of the budget of FMPs) and has managed to get many people excited the last few years. There I go, picking on the hot fusion guys who always have brilliant minds, but again their primary weakness is often not being 'practical' enough rather than coming up with brilliant ideas (we're all human and we all have our faults I suppose). However, as an engineering observer of that industry, is asking for something that can generate one watt of excess power in one human life time too much to ask please ? FMP thus seem to be more like a 'public works' programs from what I've witnessed the last thirty years. 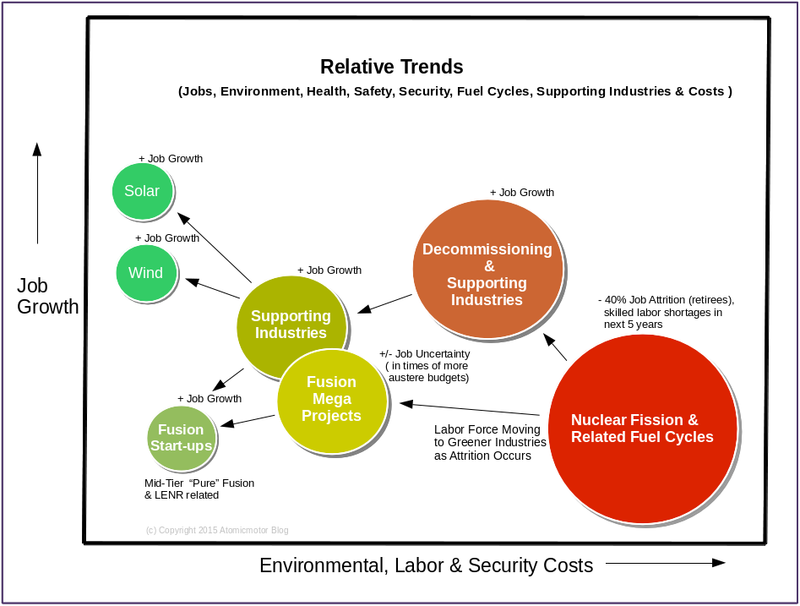 Being fair, one could argue that in that context, materials science (lasers, RF/microwave technology, high temperature superconductivity and magnetics R&D) have all benefited immensely by this funding (directly & indirectly) which is a good thing for the world economy & spin-off companies & jobs, despite the lack of a Fusion Mega Project power plant that generates a few over unity (OU) watts of steam or even a watt of electricity after more than forty years. However! by that same token then why can't smaller & nimble LENR R&D and pure fusion related start-up companies with many new ideas also create jobs in virtually the same industries? Fair is fair it would seem. The future is bright indeed ! So Which LENR Camp Do You Belong In? Some will perhaps need to decide which of these camps to join if they want to assist LENR to become more mainstream and help public policy making, particularly with an "open community" that is often like grabbing a cat by the tail (ok ..funny punn intended). Which will succeed sooner? The goals of Camp-A may also open up new career opportunities sooner than the other two camps if they succeed. Joining one camp may also exclude you from the others perhaps for various reasons that I won't go into here. If accomplished accordingly, perhaps funding and policy making decisions will go with each Camp and that will also help create new jobs along with new labs (we are thinking about new labs ..correct? - just checking). Federal Small Business Innovation Research (SBIR) and Small Business Technology Transfer Research (STTR) programs might allow non-profits such as RSLs (Regional, State & Local) business initiatives to be eligible for inclusion in business support programs. Also, it's good to ponder how we spend R&D dollars. Are we being wise or rushing into things?). Question: How about the other two camps (A and C) ? What public policy making or business and research goals are supporting these camps? One possible answer: Some will perhaps also need to retire before jumping in to new LENR careers if they wish their favourite Camp to succeed and see it as a potential opportunity. I'll predict - which camp you want to join (or stay in) won't be an easy decision for some. (Note: when I joined Camp-C, I had already retired from the fission industry years earlier - easy for me to say. Also LENR has an ageing workforce issue as well ..more on that issue later. I'm also personally intrigued by Camp-A as a career possibility should they succeed ). As people retire from the legacy fission industry (see links below) there "will be" new career paths open to them, in fact they may help to create these new paths as they retire (the employment paradox). Yes, I think the real world has demonstrated precedent in this area before with other industries. Mainframes and PC for instance as I mentioned earlier with an example. People left one industry to help the other infant industry - they didn't try to do both (imagine the confusion that would have caused!). As people retire or graduate they will most likely choose the LENR Camp they want to join if they are attracted to an emerging 'greener' nuclear power industry. Still, there may be those who will refuse to join Camp-A or Camp-C the "clean side' for instance, and who will still try diligently (they can be persistent to hold on to old ideas) to make complex "fission" based systems cleaner/greener/safer 'post' Chernobyl and sadly post Fukushima cleanup issues, despite the security & health related issues to contend with in dealing with fission and rad waste issues (that also add tremendous costs). However, one of the biggest issues I see as an observer of the present nuclear industry (in general) is 'will the public confuse LENR (the new baby) with legacy fission and perhaps incorrectly see Camp-A, B & C as 'all' having fission related concerns? In fact, to this observer it appears only Camp-B because of it's rad waste clean up technical aspirations and 'mixing in' of fission ideas (a fine line to walk technically, politically & publicly) that may confuse policy making issues. Again, am I the only one seeing this emerging paradoxical LENR community issue in what otherwise started with the intent of being a 'clean' industry from its 1989 birth ? How did we get to hybridization ideas now facing us all from such a clean beginning? A fundamental question I often ask myself when thinking about the fission industry is this: "Do we really believe that classic nuclear power and all of its huge complexities - including the entire Uranium fuel cycle - can be managed in an environmentally and humanly responsible way as new technology ideas continue to intersect during this century? What evidence do we have that it is or isn't ? To gain some clarity on this 'foggy' issue, lets compare and contrast fuel cycles of Camp-B (a Uranium example) with Camp-A (a Ni-H example). From mining & refining to recycling Uranium it is indeed a very complex industry with the need to monitor human health and safety during the entire process. Uranium has several isotopes. Naturally occurring uranium is composed of three major isotopes, uranium-238 (99.2739 - 99.2752% natural abundance), uranium-235 (0.7198 - 0.7202%), and uranium-234 (0.0050 - 0.0059%). All three isotopes are radioactive, creating radioisotopes, with the most abundant and stable being uranium-238 with a half-life of 4.4683×109 years (close to the age of the Earth). Uranium has it's safety and health standards for handling by OSHA and DoE. As an added 'safety and health' concern, most public documents produced by the IAEA and DoE's EIA don't often include Depleted Uranium(DU) a U-238 reprocessing by-product of the Uranium fuel cycle. Do a Google / Bing search for yourself on DU. It's like the dirty family secret not spoken in public regarding Uranium re-processing. In fact, the Uranium tailings of U-238 are often sold as depleted uranium in hardening munitions for weapons. Considering this, would you consider the Uranium fuel cycle clean and environmentally and humanly responsible as the industry often claims? Note: On the contrary, there are also well known epidemiological studies on DU that seem to indicate no DU health issues at all. In any regards, perhaps the wise words "Don't DU It !" should be heeded? So who is really correct here? Whom do we trust to tell us the truth on this matter? Do we trust families (impacted by real experiences & birth defects in real war zones) or scientists saying health issues reported are all imaginary? From an ethics standpoint perhaps the Defense industry should 'not' participate in DU weapons and better promote the recycling of Uranium in more responsible ways since the use of such DU in war zones eventually impact us all with huge costs and possible health and proliferation consequences as the future unfolds. Why in God's name would we expose our military veterans and families worldwide to possible DU 'nanotoxilogical' health effects, despite the advantages claimed of using such munitions by the Defense community? Thus, we can see that besides the high level and low level rad waste & proliferation issues to contend with in the Uranium fuel cycle, it also appears to have many other complex issues often not clearly documented, nor spoken about politically in wider public policy making circles. These issues in fact can impact many human lives and tax payers who ultimately help pay the medical bills & increased security costs in untold ways. One might conclude therefore, as we can see see from the above multitude of issues with Uranium - that from a safety, security, proliferation, environmental, cost and human health impact standpoint - can anybody really say to the American public (and taxpayers) that the Uranium Fuel Cycle and thus the traditional nuclear fission industry itself is "clean" ? ... seriously? Since the Italians recently claimed a breakthrough in Camp-A with Ni-H (Nickel-Hydrogen), I'll next focus on Nickel mining and refining as an example since Hydrogen production is already commonly known as being a green industry for the most part. (Note: there are also alloys of Nickel proposed in LENR, but I won't cover them here). The Nickel refining industry has it's complexities too, but as we'll see not nearly as environmentally complex or damaging as Uranium. Nor is it even close from a human safety and security standpoint in comparison to the Uranium fuel cycle. It does have it's OSHA guidelines for safe handling mainly due to respiratory, ingestion and direct skin contact concerns in manufacturing and proper OSHA safeguards are needed. Note: Nickel mining as the above report explains is also traditionally done with open pit mining much like Uranium. In general, the metalliferous mining industry tends to mine in this fashion. Secondly, nickel mining is not even close radiologically in comparison with Uranium. Nickel is a natural occurring non-radioactive metal with 58Ni, 60Ni, 61Ni, 62Ni and 64Ni with 58Ni being the most abundant (68.077% natural abundance). As an example of Nickel mining & refining, I'll use the following report. This may or may not be representative of the entire industry, but you can already see right away that Ni as potential fuel cycle for LENR (Camp-A) is far less complex than U as a fuel cycle. Given a Choice - Which Fuel Cycle Would You Prefer? Summarizing & contrasting the Fuel Cycles of A) and B) above one can see that the entire Uranium fission fuel cycle's environmental impact has a far greater worldwide impact on human health, safety & security standpoint than Nickel. Thus, I continue to have my own doubts that the "clean environmental goals' of Camp-B & Uranium waste cleanup in its present form (as demonstrated by industry actions from waste reprocessing to the use of DU). Given this evidence, can we trust that the the wider industry in general will be responsible in managing the 'dirty' Uranium fuel cycle, despite the claims otherwise? So, you could say that this blogger does believe in LENR, but I live in Camp-C and admire Camp-A. For these reasons I can't join Camp-B "proliferation" (default) thinking. Their camp seems to need an entirely new approach (out of the box thinking across the board). A complete rethink & retiring of bad ideas implemented with last century technology and thinking in mind. This new centuey will bring with it more nanotechnology and hence many more proliferation concerns if we continue with default thinking with no questions asked. Though they still support a large ageing fission industry, there are too many last century issues still remain unresolved that I see, and no - I am not claiming expertise in this area by any means. I'm just using common sense reasoning looking at the trends and the emerging data. We also have to keep in mind that some of the brightest minds have tried Camp-B clean-up issues for over fifty years - including Nobel Laureates (who have since passed on) who invented the fission industry (from scratch). To solve these kinds of lingering issues, Camp-B LENR scientists may still be valiantly trying to help, but I personally feel that 'only' newly emerging ideas will help rad waste clean-up (perhaps even synthetic biology/genetics) but it most likely will not come from Camp-B and the legacy fission community in its present form which propagates problems and proliferates last century thinking on a wide scale. LENR is either clean as we've all been told (& sold ) or it isn't. Which is it ? Because of the following trends the entire underpinning of the fission industry is changing (people, skills, materials, safety, security, waste handling and disposal, etc). A) "Uprated" (i.e repaired & upgraded) nuclear power plants continue to have issues with their huge complexity & cost. In fact O&M expenditures now account for over 60% of nuclear power production costs (just to keep plants built decades ago safely operating). Again, someone has to pay for these costs, typically consumers & taxpayers. The public is also too smart and internet connected and follows the nuclear industry issues more closely than in years past to claim everything is 'peachy' in the uprate industry despite rosy outlooks on human resource & knowledge management issues and the new skills needed (from where?). B) Secondly, the nuclear waste issue is also still with us and it seems to me that on-site monitored storage will be the more cost effective long term approach until new science arrives (possibly decades from now) to help that storage & clean-up burden (and it may be biology based). It will most likely be new science that we don't anticipate by today's standards (do we ever see that new discovery around the next bend?). C) All trends to me (including miniaturization & new materials) seem to indicate that 'classic' nuclear power will also continue to "slowly fade away" (old power plants that is ) and will continue to be safely decommissioned) (over 60 worldwide are now shut down post Fukushima) and several are idled at great cost in keeping plants staffed while idled/repaired. There are also issues with recycling 'metals' (or burying them) from decommissioned plants and medical industry waste. Some recent events in 2012 were sad reminders of how this impacts human health. These are tough issues to contend with and someone will have to pay these decommissioning and metals recycling costs, usually consumers and/or taxpayers. Still, there are those who claim 'all is peachy" even after the recent political fallout post Fukushima. Recently, it was advised that Fukushima residents return to their homes, despite the high background radiation levels. The classic nuclear power industry (and fuel cycle) is one of the most complex industries ever devised. Hidden within it lurks the 'complexity demon' coupled in the operational systems, computers, fuel cycles, recycled waste, safety, security, people skills and last but not least proliferation security concerns and for what?. Just to generate steam ! to turn electric turbines generating electricity. Thus, with these multitude of issues, claims by legacy nuclear power proponents that it is 'low cost' electricity (a typical selling point) severely strains credulity. For a complex system that boils water generating steam to make electricity it sure has a lot of costly concerns to contend with for claiming to be inexpensive and 'clean'. As the years go on and miniaturization and nanotechnology trends continue, much like main frame computers faded away and are now relics of the last century computing industry, classic nuclear power will no doubt be forced to change as the world changes around it. Jobs will change as new employees enter the work force; industries will use new materials; old skills will go out of style (or extinct); retired plants will be to costly to maintain or uprate; fuel cycles will also change. It's only a matter of time. For instance, new ideas have already emerged like small modular reactors (SMRs) which are smaller fission based reactors, fabricated in modular ways to reduce costs. Then again, one must realize that even SMRs still promote and use the dirty fission based fuel cycles (see NAS 2012 "Emerging Trends Report" pg 44). So has anything changed besides modularity? They also have cost issues that can only be reached in mass production and quantities of scale. Some even propose to burn the old rad waste (a good thing), but regardless, some form of radioactive waste (and the attending security needs) will still remain that must be dealt with in storage or disposal from the published reports I'm reading. Even fusion/fission hybrids (an easy political choice to make) have recently been proposed, but is this perhaps a long term 'untested' technical approach? Are we rushing into unproven designs on such a large commercial scale to be committing such large sums of money perhaps better spent elsewhere? This may indeed be another hype cycle emerging in that industry. Time will tell. Also, can anyone reliably say how these new fission based trends will emerge if 'classic' fission physics isn't taught in high schools and colleges as it once was? One must remember that today's supply of nuclear industry engineers (and welders) after all were created by a pipeline of new talent started via the fission power plant era 'hype cycles' of the 1960s, 70's, 80's and the US shipyards & high schools of the past where welding skills were taught. And finally, do we as a community want these fission based SMRs in our neighbourhoods? Their business model depends on scaling and mass production of modular components meaning they will potentially be cost effective only if found in every city. There is a past history of developing such small fission based reactors and portable designs and they "didn't work" for a multitude of reasons. Hopefully, common sense will prevail in Camp-B thinking (hybridizing LENR and fission) and for the above reasons, more focus will be applied to areas showing new promise (and less safety risk or liability concerns). Camp-A or Camp-C (materials science & nano technology ideas) are heading in that direction on many front lines through complementary industries. Hopefully the intersection of "fission" with Camp-B schools of thought will thus be put up for further debate by technologically savy engineers, chemists, futurists & social scientists. The more stringent security concerns mixed with fission + LENR hybridization might not make an attractive career choice for our new XYZ generation kids & young adults and who want new 'cleaner' jobs in a cleaner world with more flexible career options in a rapidly growing mobile society (no small issue to contend with as far as security). As that song says .. are we getting lumps in our throats for possibly singing these words wrong? If so, does it have to be this way? As Tim Berners-Lee, the creator of the WWW recently said in Dec 2014, speaking about the web in general "Why don't we design the world we all want, rather than live in a world we don't want to live in?". a) A world without 'classic' fission "designed in" and we minimize generating of radioactive wastes. b) A world where we phase out fission as a power source as people & plants are retired. c) A world where traditional regulators (like NRC) spin-off start-up 'agencies' much like businesses do, keeping cleaner approaches separated from those legacy ideas & agencies requiring more complex nuclear policy making & management processes, thus simplifying and helping to attract new investors. d) A world where we 'design out' reliance on the Uranium fuel cycle and transition to cleaner fuel cycle for nuclear power (like a Camp-A approach) along with greener renewable energy. e) A world where Camp-B thinking (humorously) does not bring the whole dirty fission industry tagging along for the cleaner LENR ride hidden in the trunk of the car (so to speak). g) A world where LENR / clean fusion energy devices 'monitor themselves' for known states/conditions (with embedded processors) and are inherently safe by their physical operating principles. For instance, as in Camp-A (Ni-H) when device is turned off, as proposed the entire system immediately stops and can be handled safely. Unlike Uranium or Thorium fission, which can take years to literally cool down as radioactive half-lives ramp down slowly and where the health, safety and security are major issues to contend with for decades into the future. h) A world where LENR / clean fusion devices 'self clean' using the best of today's ideas and assist recycling of expendables and used /unused materials. i) A world with tremendously reduced system complexity, modularity, and 'designed in' safety features for far less cost passed on to consumers through the product lifecycle assisted by using new materials. j) A world where modern materials science & scientific skills can be more easily borrowed from other industries (also creating synergy) thus preventing many of the skills shortages we see with fission. Impossible? This would mean Camp-A or Camp-C goals as a 'forethought' not an 'afterthought' in policy & decision making. With these goals of a) eliminating fission concerns and b) paying closer attention to the lines on environmental policy making that enables new growth, we also help to move on from 'last century' thinking and retire bad practices that no longer serve our community, environment and career choices and the complexity of decision making that goes along with that process. It's in our collective best interests to decide how we want to 'design' our future nuclear industry. 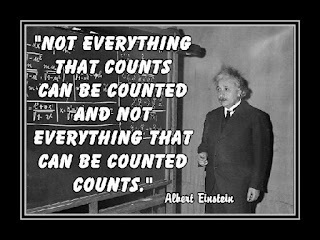 Let's not blindly accept past practices as 'best practices' when they in fact need a big re-think. Jobs for one. In fact, it may turn out that creating the many millions of new jobs the world will need in the 21st century will require entirely new thinking with fission (i.e banning it or helping to eliminating it as a risk item by designing it 'out' of industry process and systems thinking). Designing out old ways of doing things also includes the old regulatory 'processes' along dividing lines that no longer serve our new commercial interests & growth needs. This may include those integration & R&D labs where collaborative activities can get a new foothold free of the processes of the past, thus allowing new ways to collaborate across boundaries with other regulatory agencies once thought impossible (for instance the FCC, which may take on new roles). I'm also a believer that if certain areas of nanotechnology are to prosper, thrive and create jobs in the years head, we may need to ban fission as it is practiced today completely. Too extreme? I don't think so. What often makes nanotechnology powerful is its ability to radically change how materials behave and are used. For these reasons, I'm proposing (realizing I'm just a small LENR voice) a ban on any fission related developments (and funding) within the LENR field (via self regulations, community involvement in raising concerns and even regulation as needed ) for hybridizing any LENR ideas with fission. Such a simple 'act' could enable new investors to participate where they would instead be scared away and afraid to participate. Hopefully steps like this will help alleviate any future concerns that may develop with business goals of nanotechnology and the industries interested in cleaner LENR without mixing in 'fission' (regulatory or otherwise). It could be that within ten years 'fission' as we know it today, that fission will be something to 'avoid entirely' (as a hazard) as the nanotechnology industrial revolution moves on (as it will anyway) and the world changes around this industry. There are many industries that have new ideas that may be put on hold if we don't. Doing this may potentially assist cleaner LENR ideas in new untold ways while it also creates new job opportunities across many industries (materials, biology and electronics to name just three). In fact, as I mentioned earlier perhaps even synthetic biology (aided by nanotechnology ideas) may be a faster, cleaner(without hybrid fission) and more appropriate ways to tackle the nuclear waste issue clean-up suggested by Camp-B than 'any' 'traditional' approaches or alternatives using LENR that mixes in classic fission ideas. Lets' face facts. If classic fission environmental clean-up approaches worked, then why aren't they already being used at Chernobyl and Fukushima? In the future we may see many new "security issues' to contend with (is this a good or bad trend ?) regarding 'legacy' fission issues and proliferation concerns indirectly pushed upon us all that we fail to see at the moment. These 'hidden' security costs (of many varieties) may continue to stifle & plague new job creation in a world often wanting more openness & job flexibility in a new century of exciting ideas. The dangers of fission for instance have brought entire journals devoted to security concerns and the associated costs. These hidden costs are then indirectly carried forward (often by default) and blind acceptance of traditions passed along from the last century that may no longer serve our needs in this rapidly changing century of technological progress and a smaller world. As Tomas L Friedman's book "The World is Flat" explains, the flattening of the world is bringing a new perspective on many issues that evolved from the last century of technological progress. As I mentioned above, security is one of those issues that will need a 're-think' particularly in terms of past traditions. The future is bright indeed as far as a stream of new ideas and possible models and there will "always" be continual demand for a future power source that reduces our fossil fuel footprint toward dependence. However, if we're not careful, we may get the "tail wagging the dog' from last century scenario" so to speak - bringing with us the worst of the last century ideas (and outmoded concepts along with their associated risks) as we continue into this century. Imagine what that might look like? I sure hope I'm wrong about this and common sense will eventually prevail as these trends become clearer and a better picture emerges on these important issues. As far as job growth in the 21st century goes (and 'atom' and 'molecular based' cleantech / nanotech) if such security issues from the "last century thinking" continue to grow, fester and have to be levied across entirely "new" industries ( for instance if Camp-B LENR gets tied to legacy fission this early in the 21st century) then how can this complexity on many levels be simplified going forward? Thus, my earlier question ... is LENR clean or isn't it? If it's truly clean (in a community regulatory and requirements sense) it could potentially save HUGE costs in the security realm later on. Keeping it clean would also make it an uncontested and 'safer' (full fuel cycle) energy source than fission ever was and help fulfil it's promise. Technology amplifies the ever-changing nature of culture. The cleaner world many of us envision is possible using renewable energy like solar & wind and we can all see how these systems involve less safety, health & security infrastructure needs than fission. OK, so can this approach also work with LENR and how can we help to accelerate that ? The only way that change can happen in the workplace or in society is when people decide that an 'old rule' (a permanent rule) has to change. This includes rules regarding safety, health & security. So what can we do? Here's an idea. Security based on LENR with less security (in essence) is what I like to propose called LESS (Low Energy Systems Security). What I'm suggesting here is also a world of IT and other security realms that have much more flexibility in how LENR is integrated into new and existing systems. This helps accelerate LENR adoption. It's very nature helps to do that. In doing so, we also naturally change the nature of security along with it making it more like the security we see with renewable energy. This is a product differentiator & major advantage LENR (Camp A & C) has over hybridized fission / fusion (in Camp B) as a 'leaner, cleaner & greener' form of nuclear energy. The basic idea is that people overwhelmingly prefer taking on risk in situations where they know specific odds rather than an alternative risk scenario in which the odds are completely ambiguous —they will always choose a known probability of winning over an unknown probability of winning even if the known probability is low and the unknown probability could be a guarantee of winning. As engineers, we all like more flexibility & certainty ...correct? Imagine the possibilities if a clean and energy 'dense' power source is available with 'none' of the higher risks we've seen with 'classic' fission? That changes the odds quite a bit doesn't it? The very nature of LENR + LESS helps make it more compatible and "cleaner to integrate" into emerging technologies (Camp-A & Camp-C ambitions). This would also assist the human resource systems involving creative people, including the XYZ organizations that our young adults prefer as career choices and who will be tomorrows leaders. LESS helps to design a future they also want. LESS as I'm suggesting here can help cleaner LENR goals by 'designing in" what we want and "designing out" what we don't. There are also major electronics and communications industries that will benefit by and from cleaner LENR + LESS. Miniaturized control & embedded systems we see today can be safely integrated with a cleaner LENR approach. With the added plus of LESS even 'embedded security" for those who prefer that (yes I know, even the equivalent of the proliferation concerns of a smoke alarm from Camp-A thinkers might frighten some people ...lol ). LENR + LESS as an energy source then has the potential to make life simpler with 'less cost' (pun intended) for the industries that will further develop clean LENR. But I digress ...back to fission trends I see in news items. As was recently announced, the 'classic' fission related industries of the last century are also facing an 'age crisis' (many industries today in fact face this issue as demographics change). As many of the scientists and engineers in the fission related industries are retiring (55% > 55 years old), they leave behind an inexperienced supply of young replacements (the hidden fission crisis) and a loss of generational & institutional knowledge is occurring (Serious note: To some who want a safer world free from nuclear fission proliferation this may actually be a very good trend emerging ! ). Again, fission is also 'not' exactly looked upon any more as an exciting career opportunity that it once was during the 1950-1970's first atomic age by many new college graduates, though there are still many talented graduates studying nuclear physics and thinking in many exciting new ways. But it's important to remember that it took over three decades to train all of the engineers that are supporting the existing nuclear industry worldwide. To save an ageing and complex fission industry infrastructure we will also need old mechanical skills (like welding) that are also fading away as new materials science ideas and practices change our world, essentially forcing this issue upon us. Carbon and other composite materials are now being used where many metals once were. If fission is to continue in anything close to it's present form, we'd better get thousands of younger recruits interested in fission career choice of two decades ago very soon, because they may be training for careers in other cleaner industries we want today (the nuclear career paradox). Thus, fission will have some Hot job opportunities for those willing to help ... no doubt. Thus, for these and a number of other reasons I've explained above, in my opinion it will be much easier to train new career LENR scientists (chemists, materials scientists, biologists, engineers) and/or borrow skilled engineers and scientists from other industries to help the cleaner & greener LENR industries of tomorrow get a foothold in society, then going backwards into past career practices. Training a new generation a diet of 'reactor physics' principles starting in high school (which is where the nuclear industry recruited me years ago to study the field) may be more difficult & problematic with today's XYZ generation than teaching the simpler principles required to explore, develop and integrate LENR. Time does change all : thinking, materials, designs, industry practices and security. If you made it this far with my update, thanks for stopping by to hear a few ideas. Another aspect of the LENR field not touched upon by members of the community nor DoE is the paradox of "personal safety" for a field not officially recognized by DoE because of the extreme way in which the field was born in 1989, hence the term SAFETY used in this context as well. My feelings are that this is a tremendous personal risk to take on because of this past history, so please be careful. Many people 'pretend' to not believe in LENR for job security reasons alone (that I can tell). Watch out for each other if you chose to help. Ethically, I have to stick my neck out and provide this advice, even if DoE seems to prefer the usual silence. In some ways the condensed matter nuclear science CMNS and LENR community as a whole needs to reach a general conclusion on any reported phenomenon and decide the merits of the release of more public information on a particular subject. Another difficult area. This can take time given that funding is sparse to follow up on experiments and techniques at times. Since LENR phenomenon often happen at lower energy regimes than typically used in modern experimental physics, don't be surprised by the unexpected report of a new phenomenon when an "aha occurs". We may very well be surrounded by other LENR phenomenon in nature and not even realize it yet. I'm a firm believer that God doesn't allow something to be created that isn't eventually put to good use for mankind in some capacity for the good of all. Bottom line: If you do find something new, I wish you luck in commercializing it ! [updated Apr-16] added new links to MFMP/QuantumHeat and corrected a few typos. © 2015 Atomic Motor | Blogger Templates by Gecko & Fly.